Just a super-quick post to let you know that Matthias "Lazycow" Bock and Saul Cross have been busy working on their Kickstarter-exclusive update to Tiger Claw over the past few weeks. In addition to the already-promised larger game map, revised physics and hidden Easter egg game, we're excited to announce that Tiger Claw will now also feature two new game modes - 'Versus' and 'Survival'. 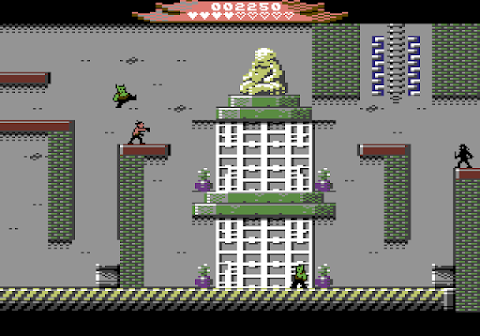 Survival mode (or 'Training' as Matt refers it it) is a highscore-chasing single-screen mini-game in which the player has to fight off increasingly tough waves of enemy henchmen. It's a great way to master your Kung Fu skills before taking on the main game! There are only three more days to go, and this enhanced version of Tiger Claw will not be available to buy on cartridge outside of Chris Wilikin's (already successful) Kickstarter, so if you want a copy you'll need to select the Cartridge tier or add £40 on to your current pledge asap! Go get it here.